It’s definitely fall here in DC. 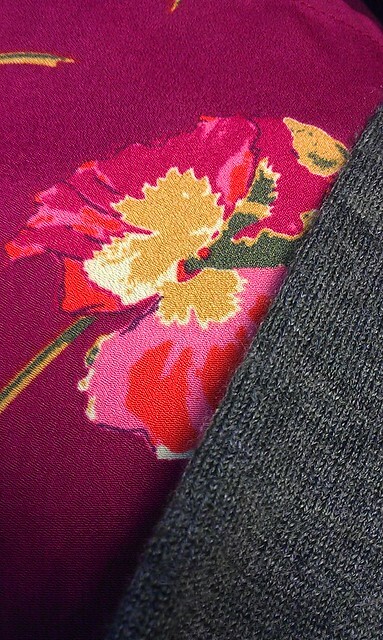 There’s a chill in the air, I’m wearing jackets and scarves and I’ve pulled out my very colorful collection of tights. This morning I was playing around with the camera on my new phone and I snapped a few pictures of my outfit that made me realize how fall it is. 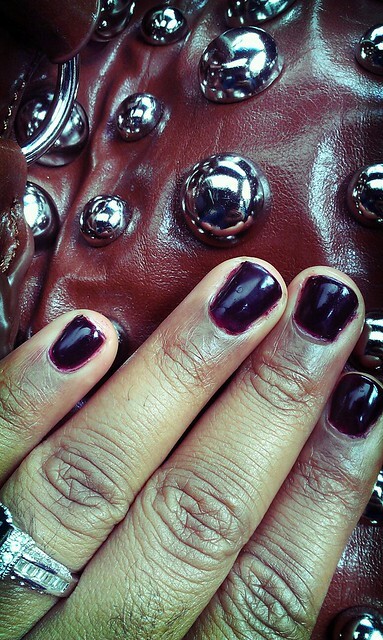 Today I’ve got my studded bag and a fresh vampy burgundy color in my latest gel manicure (I had given it a rest for a week and tried a UV top coat – hated it and immediately went back to my gel manicure). 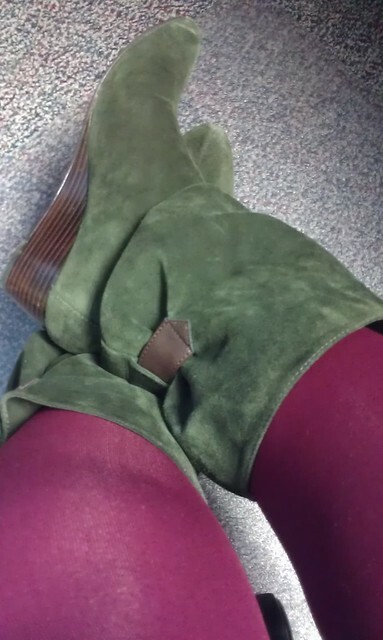 I’ve got on a great deep wine colored pair of tights and my favorite slouch olive green suede boots. I bought them from Nine West 2 or 3 years ago and I still love them. They’re a perfect neutral and they have just a slight wedge so you can walk in them all day. And I’m wearing my Tucker for Target dress paired with my favorite green draped cardigan and a chocolate brown belt to bring it all together. I’m feeling so cozy and still really vibrant and colorful. Something about colored tights just really makes fall for me, I love getting to wear such rich, opaque color. That’s what I’m wearing to stay cozy on this cold, rainy day, what about you? Pingback: Colored Tights « Sassy jeweler, savvy shopper & all around fashion junkie. You got some nice color combinations there. I like the tights and its color plus the look of comfort. You got a nice taste there girl. Love the mani and is that a skirt or dress? I’m a floral fan.